The new league kicks off Saturday with several differences from the NFL including no kickoffs and "SkyJudge" to overturn egregiously bad calls. SAN DIEGO — When the fledgling Alliance of American Football held four exhibition games recently in San Antonio, something was missing. "We were all looking around saying, 'Does anyone miss kickoffs?' 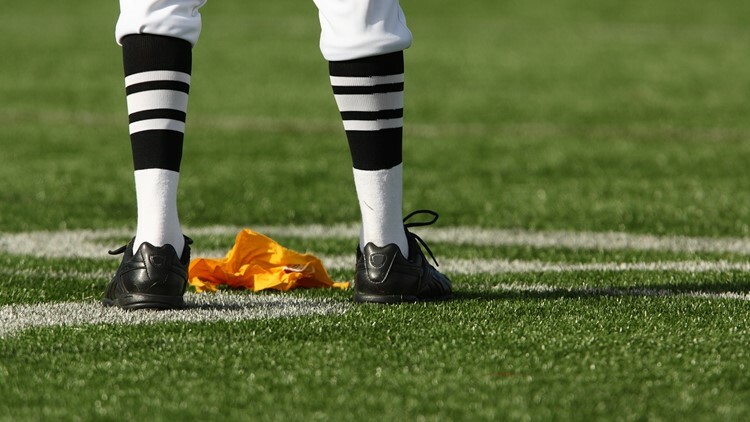 The answer was, no, we did not miss them," said Mike Pereira, the NFL's former vice president of officiating who is a consultant for the latest attempt at a spring league. Among them will be a ninth member of the officiating crew, called a SkyJudge who will be in the press box and can instantly correct "obvious and egregious" officiating errors, like the one that marred the NFC championship game. Overtime will be different, too. "The players got used to it very quickly," Pereira said in a phone interview from his home in Sacramento. "It's a bit of a timesaver. Our goal is to play in 2 1/2 hours." Pereira said it was modeled in part after the college targeting rule, which allows replay to step in and call targeting even if was not called on field, or take it off if was called but wasn't not really targeting. "It's correcting errors on the field by another member of the officiating crew without having to go to replay to do it and having a three-minute stoppage to do it." If the SkyJudge gets a quick replay, he could view it before the ball is snapped. They just can't delay the next snap. Also gone are onside kicks and point-after kicks. When teams score touchdowns, they must try a two-point conversion. Field goals are still OK, except in overtime. The play clock will be reduced from 40 seconds to 35 seconds. The AAF will also go back to the original NFL replay scheme of giving each team two challenges, and that's it. That means no time-consuming video reviews for turnovers and touchdowns. While onside kicks are out, "onside conversions" are in, if a team is trailing by 17 points or for either team inside of five minutes remaining in the game. "It was an exciting play in these preseason games. You get one play and if you reach the 40, you keep ball. If not, the ball goes over to the other team. It can be punitive. If you your throw an incomplete pass, the receiving team gets the ball at the 28-yard line. At least it gives teams an opportunity." In overtime, each team will get the ball once, first-and-goal from the 10. Teams have to score a touchdown and go for two points. Field goals aren't allowed. The other team then gets a series and can either match the other team or win. Games can end in ties. "We're not afraid of ties," Pereira said. "It creates some excitement." "What's nice is we're experimenting with things the NFL has talked about," Pereira said. "In preseason games these changes proved effective. We had points. "No disrespect to 13-3," he said, referring to New England's win against the Los Angeles Rams in the lowest-scoring Super Bowl ever, "but we'd much rather see 31-28."